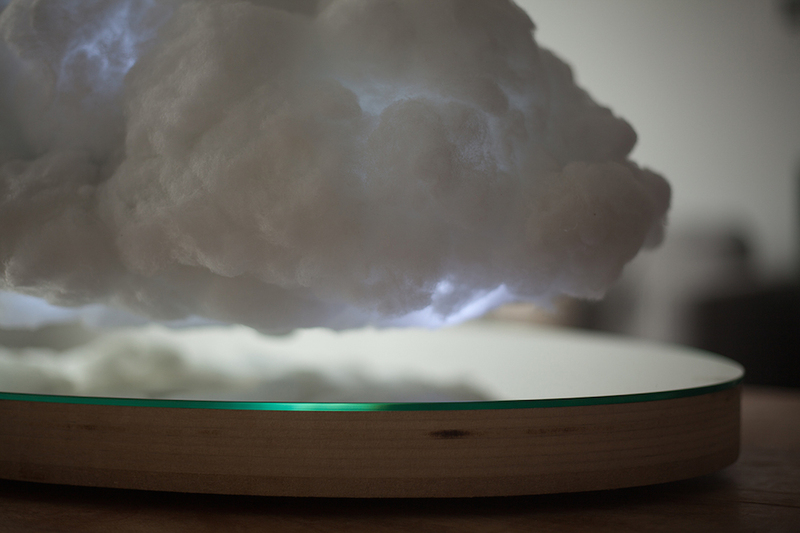 Richard Clarkson Studio has teamed up with Crealev to produce a miniature floating cloud, one that hovers indoors while both playing your favorite music and lighting up in tune to the beat to replicate a storm. 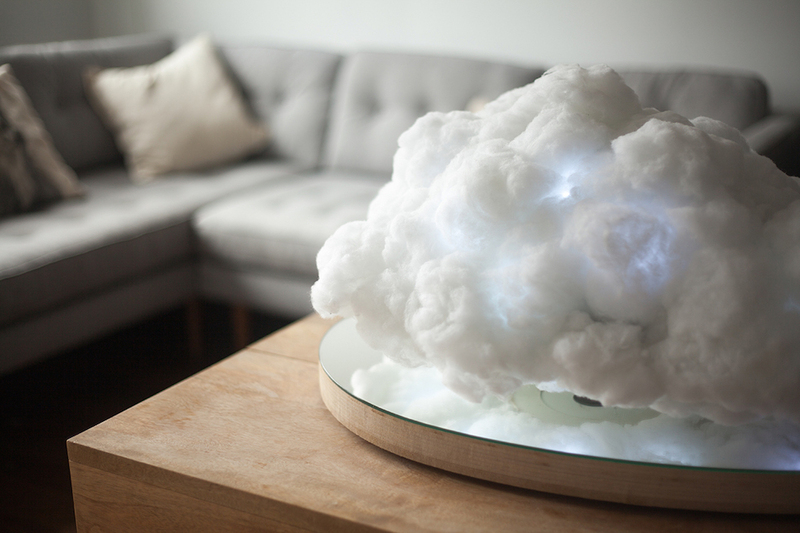 The design, called Making Weather, is formed from polyester fibers which hide a Bluetooth speaker, LED lights, and a magnet. 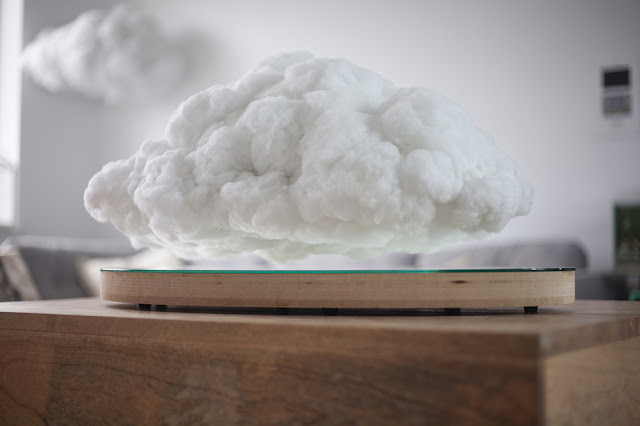 This magnet allows the form to float above the piece’s mirrored base in opposite polarity with another magnet, seeming to organically hover and sway to the music that is pumped through it. 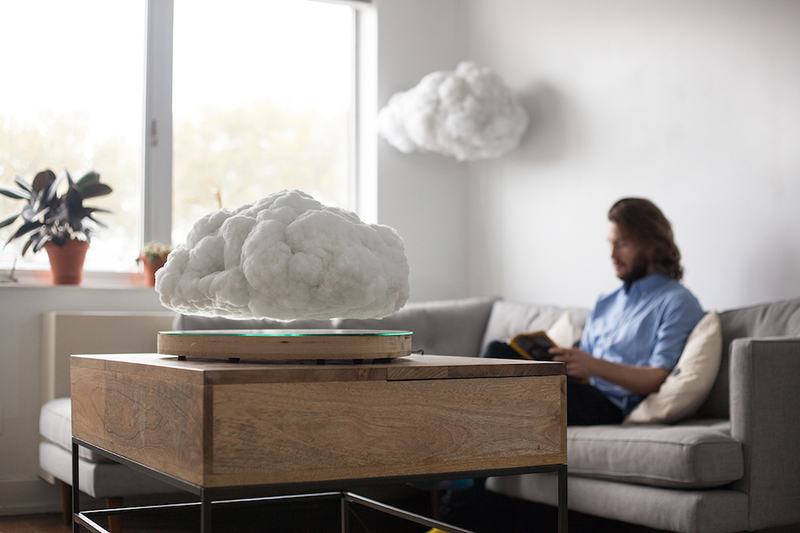 Currently in prototype form, the indoor cloud will be hopefully become available for living room use in the near future.